This mountain property is just under six acres and zoned agricultural, ready for horses, goats, chickens and much more! There are several pens and sheds already in place. This home is located just off HWY 67 so no dirt roads and county maintained! Plenty of room to build a garage or second living space! 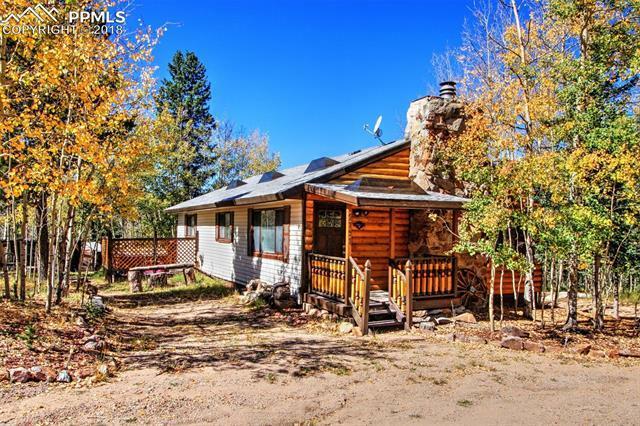 Close to national forest and amazing recreational opportunities including fishing, hunting, hiking, and horse back riding! Just 10 minutes from Cripple Creek where there are grocery stores, gas stations and restaurants!